Home » Big Toe Blog » COME & JOIN US TO CELEBRATE RUNNING SOUTH AMERICA! COME & JOIN US TO CELEBRATE RUNNING SOUTH AMERICA! 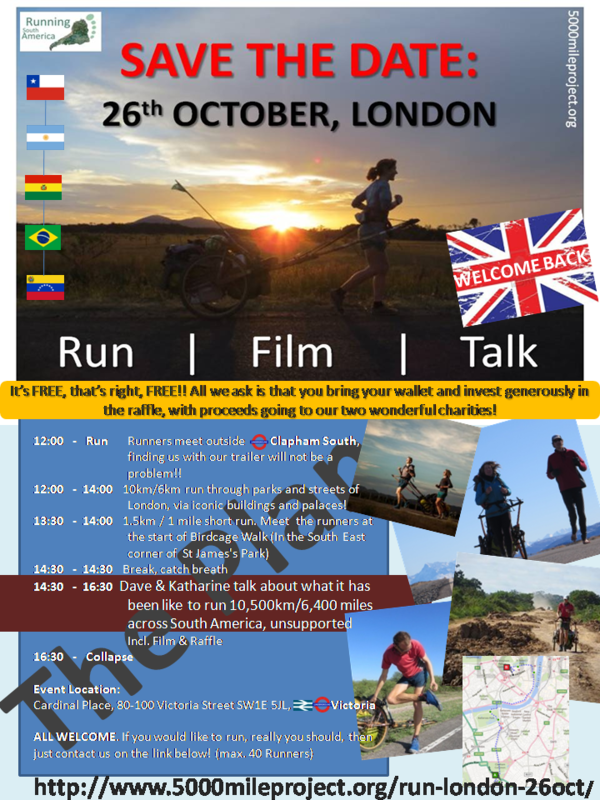 Come and JOIN us in London on Saturday 26th October to celebrate RUNNING SOUTH AMERICA!! !